Osmosis is a gangrene that attacks the underwater parts of polyester boats, and which is invisible in its early stages. Osmosis eventually leads to visible damage (blisters) and then hydrolysis and the decomposition of the hull. Osmosis treatment should begin as early as possible, whether it be preventative or when the problem arises. The earlier the treatment, the simpler the procedure. However, advanced osmosis could incur significant treatment costs and could be dangerous at sea, especially if present around through-hulls. 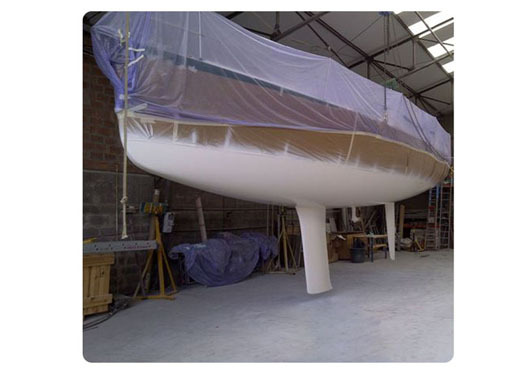 Before blisters appear, it is possible to determine whether your hull is potentially suffering from osmosis by taking moisture metre readings. Depending on the result and the age of the boat, we can determine whether simply keeping an eye on it is enough, or whether preventative treatment or curing it is necessary.